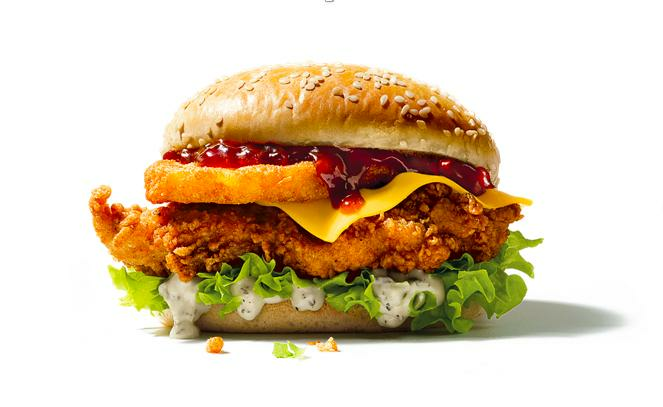 KFC are releasing their first ever Christmas burger - "Colonel's Christmas Burger". It will be heading to restaurants across the UK on Monday 28th November so there will plenty of time to get in the festive spirit and fill your boots with southern fried goodness before Christmas day arrives. It will cost £3.99 individually or £4.99 as part of a meal. Read More: This Surprising Christmas Cat Food Advert Is The Most Relatable One Yet! The burger will be crammed with their classic Original Recipe chicken, a hash brown, cheese, lettuce and for that Christmas twist, cranberry sauce and sage and onion stuffing mayonnaise. It will be available until the 1st of January, and who knows, if it's a hit maybe it will be back next year! Phwoooooar! Turkey was so last year, right?